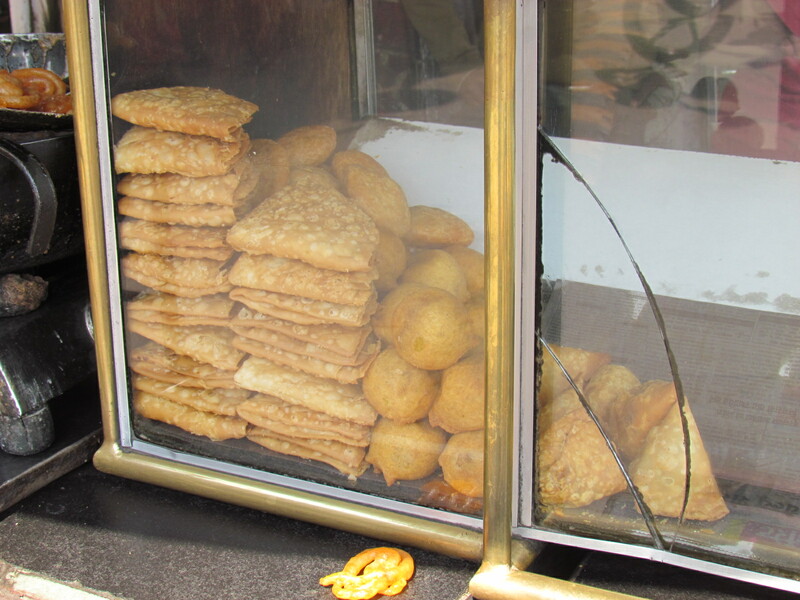 Good Kachoris & very interesting samosas with a unusual twist. 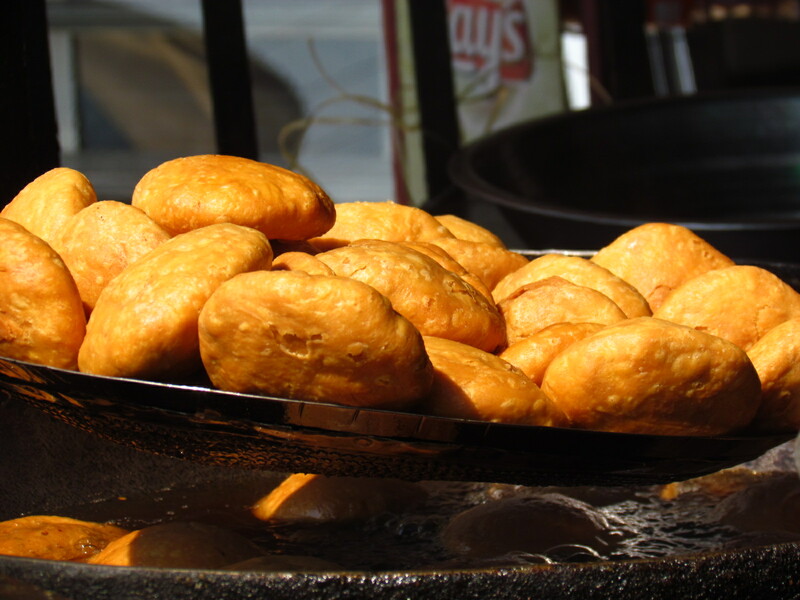 Kachoris, Samosas & Pakoras are ubiquitous in Indore. You find shops selling these items in most places of Indore from morning till night. I stumbled upon this place one day just by chance. I saw the guy frying something & serving. I thought I should try. I was told that it will take ten more minutes. Since I was hungry I tried the ones which had already been fried & kept in the glass counter. The Kachori that I tried had a generous moong Daal filling – I mean stuffed full with daal that was very flavorful & tasty. The taste & flavor of the filling had elements of both daal & the spices. The outer layer was good, flaky & enjoyably crispy. Loved it. The surprise came post this when we were served the fresh kachori straight out of the Kadhai. It was not a s good. It was over fried & slightly browned!!!! Rest of the goodness was of course not missing. The samosa that we had post this was very interesting. It was slightly sweet!!! & also a hint of mild sourness. 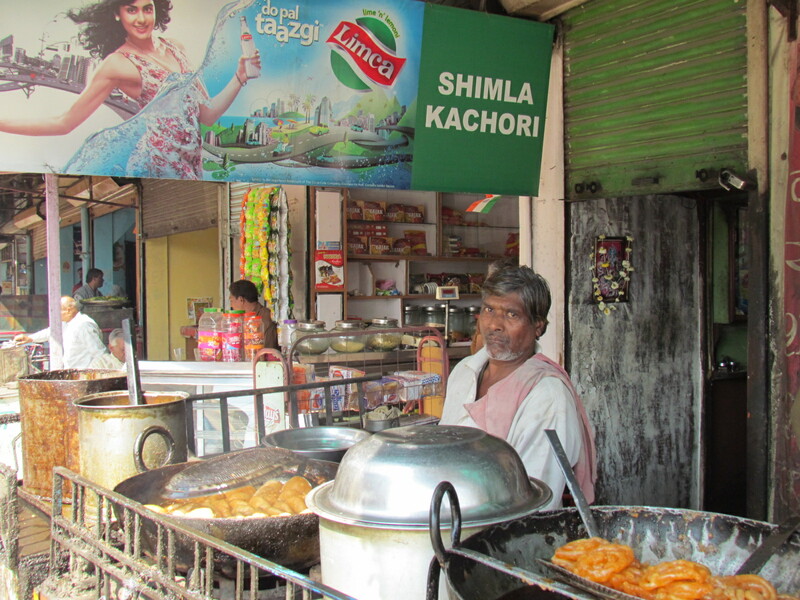 The sweet, salt, sour combo was different than most samosas I have had in the Eastern & Northern part of the country. Loved it too. Look forward to revisiting this joint to try the jalebis, pakoras, nimkins (samosas without filling) & of course what I liked in my first visit.